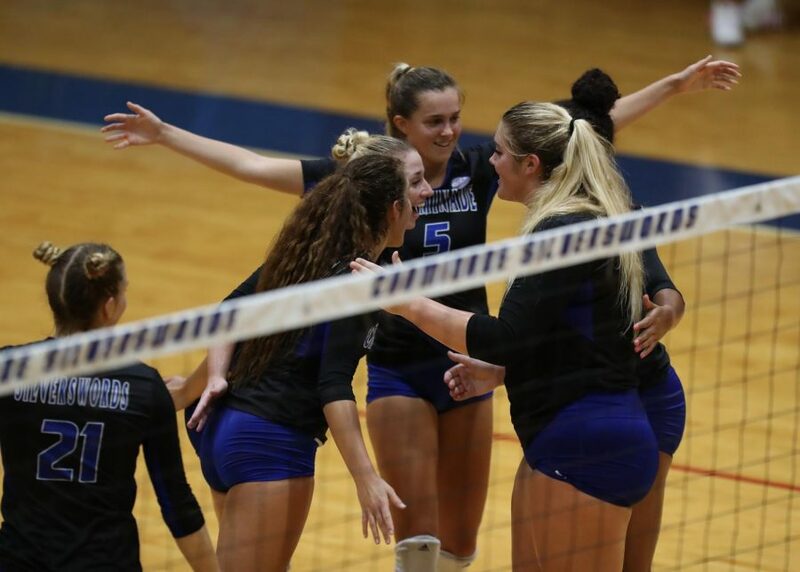 The CUH women's volleyball team is poised to make history this weekend. From 2009–2013, the Chaminade women’s volleyball team ended its seasons with less than ten wins. The team has since been steadily climbing to the top, with them starting to have double-digit wins from 2014–2017. Now, after years of determination and persistence, the women’s volleyball team has a chance to redeem itself. 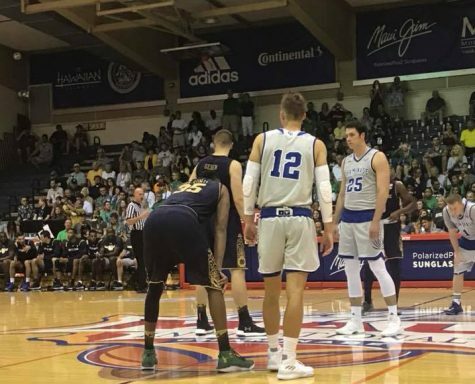 Chaminade, for the first time in 14 years, is seeking an NCAA tournament bid with its final two matches of the season. 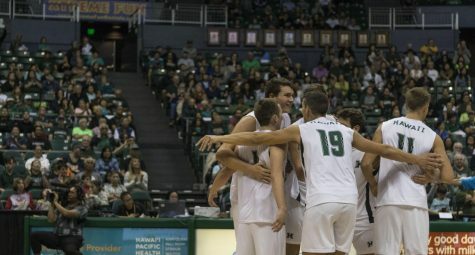 The volleyball team plays Fresno Pacific University on Friday and the University of Hawaii at Hilo Saturday, both of whom lost to Chaminade earlier this season. 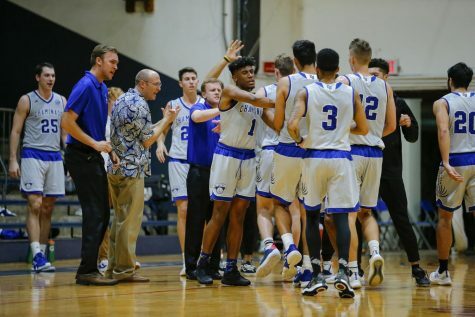 CUH Sports Information Director Kevin Hashiro believes that the team needs to beat Fresno Pacific and Hilo to get into the NCAA Tournament West Regionals. If they win, the Swords would finish third in the Pacific West Conference standings. However, No. 2 Biola is ineligible for the postseason, so CUH would represent the PacWest in the Big Dance. 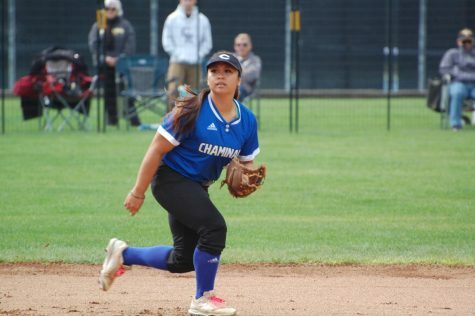 However, head coach Kahala Kabalis Hoke is excited to have Chaminade on the cusp of the first postseason appearance since when she played in the early 2000s. 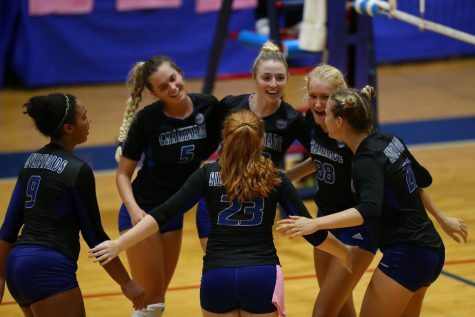 The matchup against the Vulcans on Senior Night game will be “a hard win,” with Chaminade winning their first matchup 3-1 (25-20, 25-20, 23-25, 25-23) on Oct. 6 in Hilo. Chaminade is 21-5 overall and 15-5 in the Pacific West Conference. Just Wednesday, the team was ranked seventh in the NCAA West Region. Skyler Curry, who is a setter and leads the team with with 6.14 assists per set, said she feels no pressure at all for these last two matches. 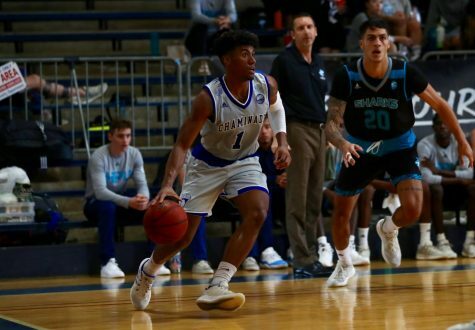 Senior Skyler Curry leads the team in assists. Curry is a senior at Chaminade and has been playing on the team all four years. Her parents and family friends will be watching her last game Saturday night. 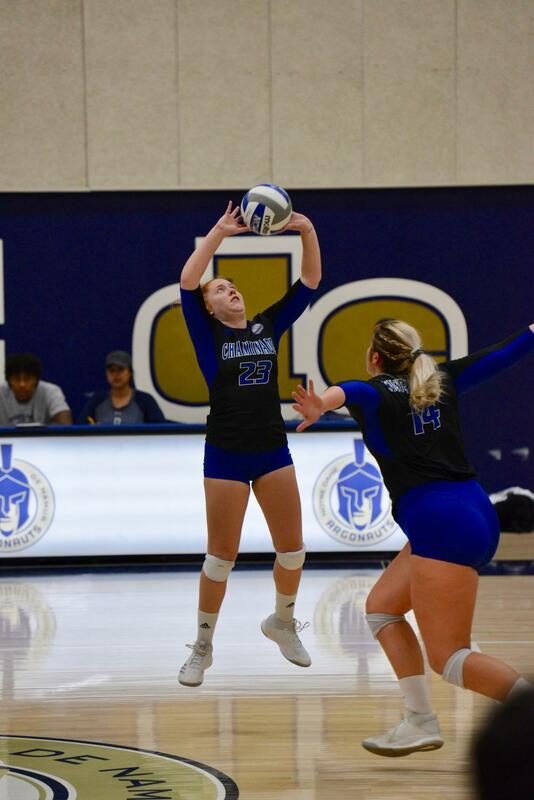 Emma Tecklenburg, a junior who leads the team overall in points with an average of 3.86 points per set, said this season for her has been successful. 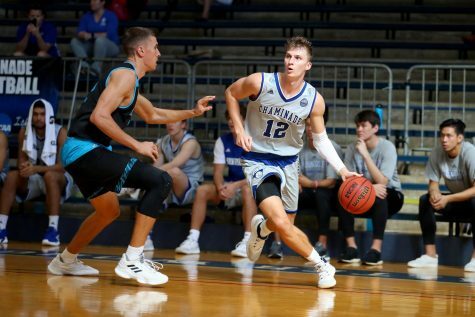 Tecklenburg was named Pacific West Conference Player of the Week in October. Hoke said that the Swords entered the season with three goals in mind: to place in the top three in the conference, to make it to the NCAA regionals, and have good representation in their conference elections. Asked how she felt about bringing the Chaminade women closer to regionals, Hoke said it is amazing. Hoke was a former Chaminade women’s volleyball player from 2002-2004 and made it to regionals twice in her playing career. She is Chaminade’s ninth head volleyball coach and has been at the helm since 2012. 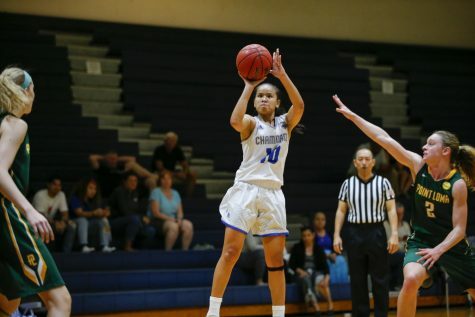 Just last Thursday against Point Loma Nazarene University, Hoke won her 100th career victory. The women’s volleyball team had a record of 2-21 in 2011, a year before she came in. “[When I came in,] I put more focus in the recruiting aspect of it,” Hoke said, referring to what made the team stronger as the years went by. 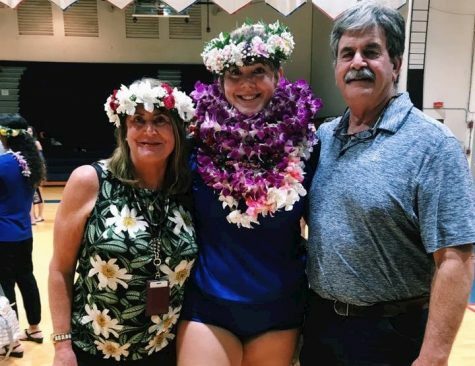 Hoke said that many other Chaminade coaches had texted her, saying that they were “excited” that the school will get a chance to be represented in regionals.